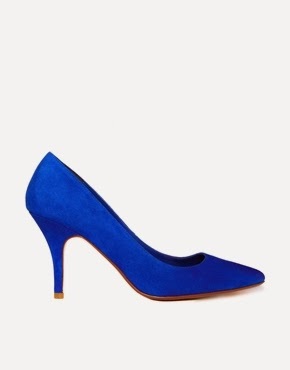 Avenue 57: Where to buy Cobalt Blue Shoes? I need blue shoes, I've seen some cracking pictures on Pinterest and now I want in. 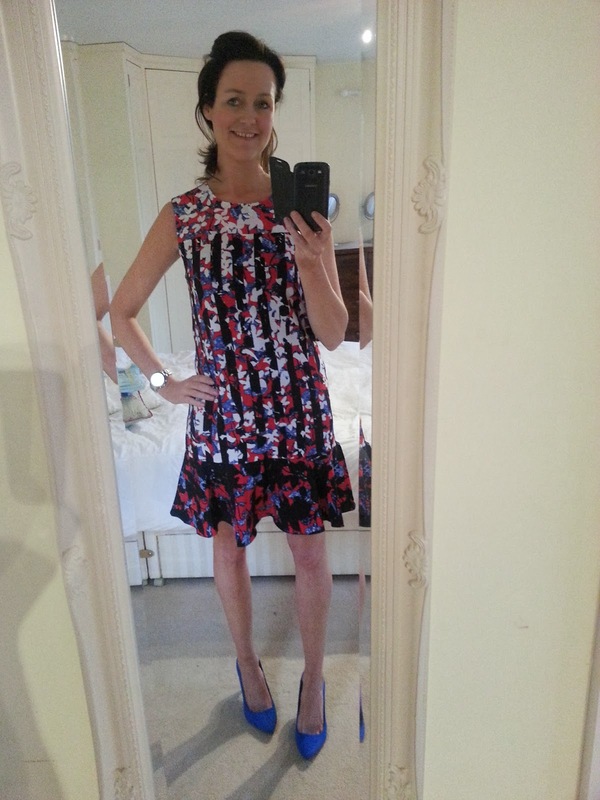 I did order some from Dorothy Perkins last week (and blogged about them here) but they were too hard for my delicate feet and they didn't fit correctly (do you see the silly gap?). My feet just didn't sit in them correctly which is a shame because I thought they looked great on if you didn't inspect too closely. 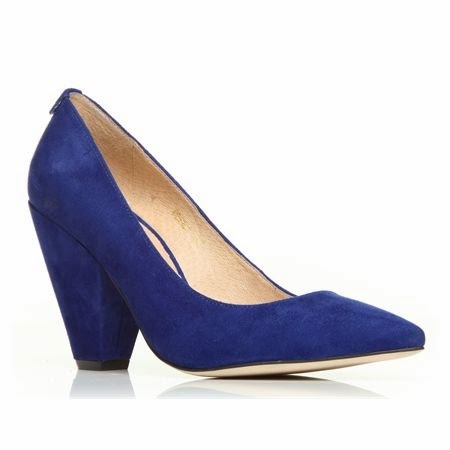 Fab price, just unsure about tbar ankle strap and is the heel height too high? REALLY want these, will save me stressing about suede protection BUT I do not want to pay £95 for them! 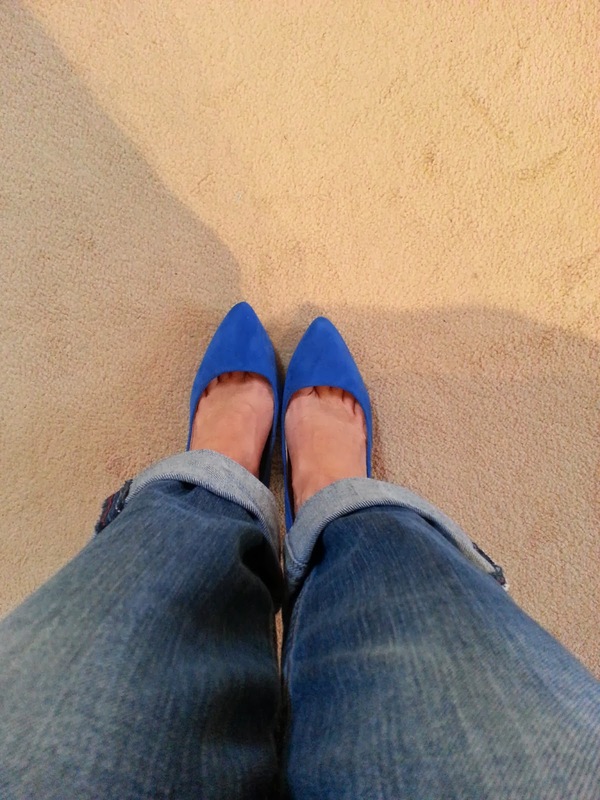 Do you have blue heels? Where did you buy them from? I am loathe to order all of the above to road test but perhaps that's just what this nonfashionista must do? My favourites are the Dune ones, despite the price. My bright blue H&M ones that you've commented on before are the same height as that which is perfect. Easy to walk around in but high enough to give you a bit of oomph! Right, I'll try the M&S ones first and if not I will just have to bite the financial bullet - YIKES! Some great choices Fiona, I've tried the first two pairs of the M&S ones - first ones too hard & second ones too narrow for my wide feet :-( On with the search! Oh good feedback, saves me ordering! Oooh, the Dune ones are GORGEOUS! Why don't you wait 'til you're in London at the weekend and maybe do a quick recce of shoes in the general Regent St./Oxford St. area?? BEFORE midday on Saturday, clearly!! I'm drinking on Saturday not shopping! 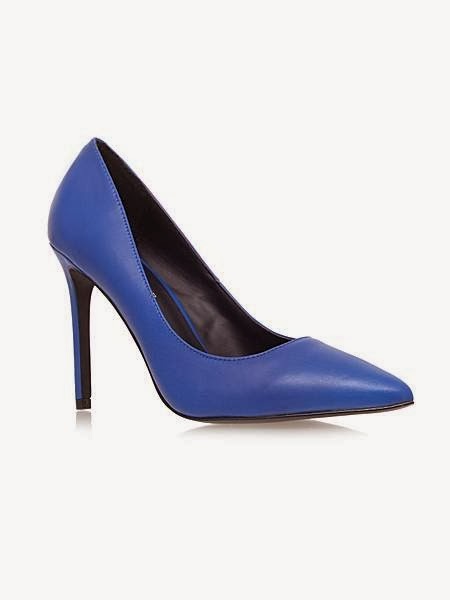 I have a Zara pointed two pair which are mega comfy, I bought them a while back but have seen them on eBay. 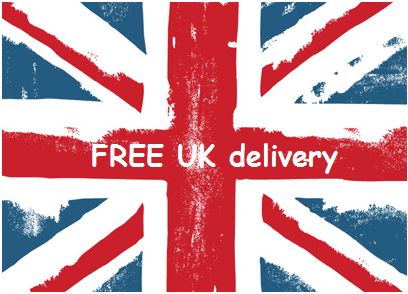 They were in around £20 so don't pay ridiculous prices for them anyway! I'm not brave enough for ebay purchasing without trying first. Going in for the M&S ones!